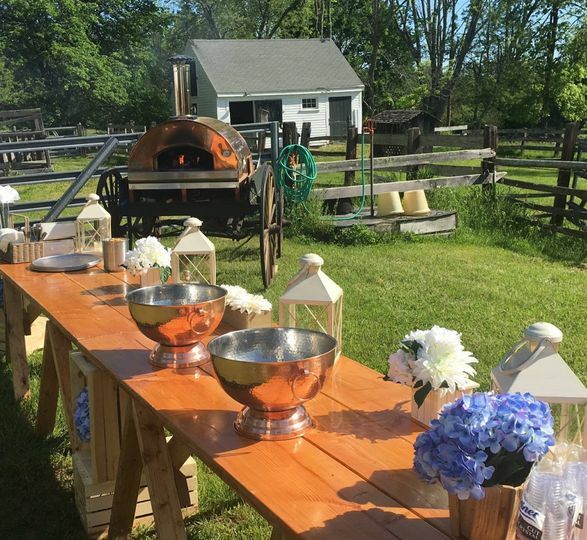 Montilio's Wood Fired Pizza & Pastries Food Trucks is a wedding catering service based out of Brockton, Massachusetts. 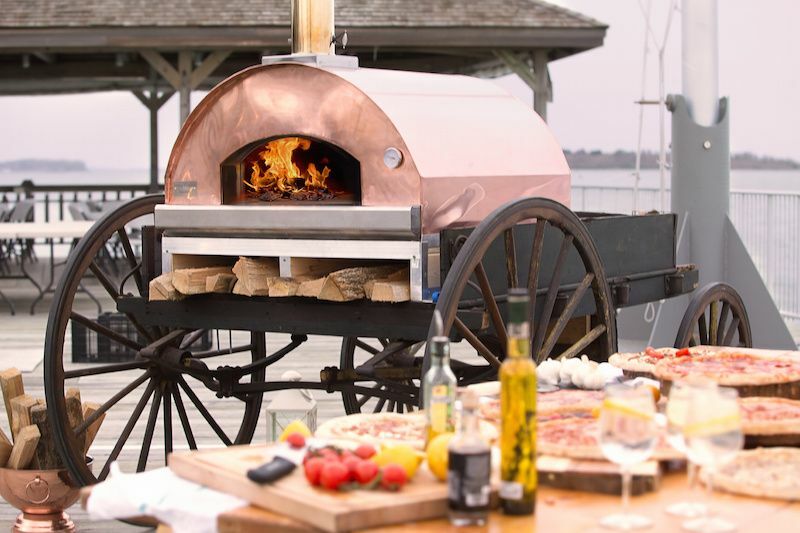 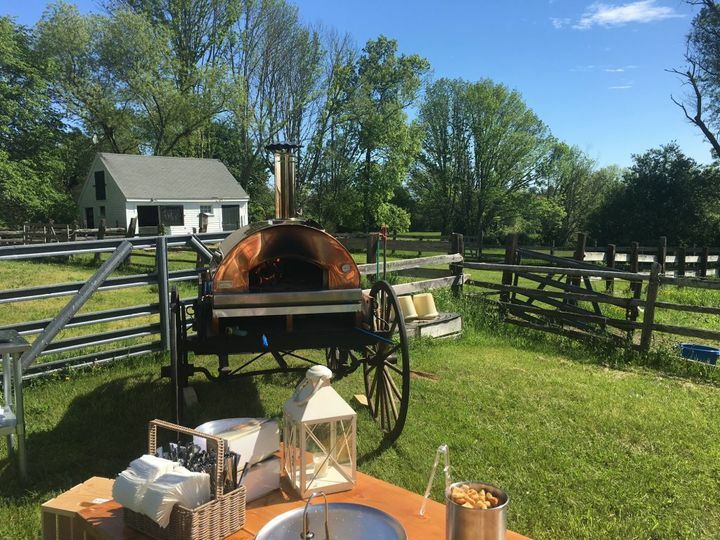 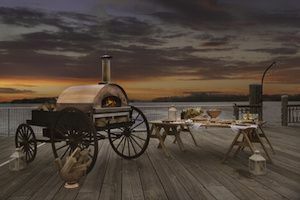 This authentic wood-fired oven pizza truck was built in Italy and sits on an antique wagon for an added aesthetic. 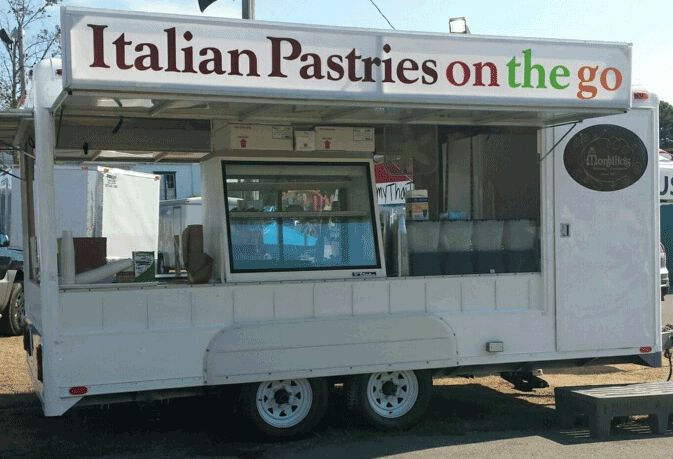 The food truck is a great addition to weddings where couples want a selection of pastries or pizza.